Increase your productivity to multi kg per day! FlowSyn Maxi combines all the benefits of our entry level FlowSyn system with higher capacity (up to 100 ml/min) to deliver a versatile and highly productive continuous flow reactor for scale up and high throughput reactions. FlowSyn’s high resolution user interface quickly guides you through the process for setting up a flow chemistry reactions. 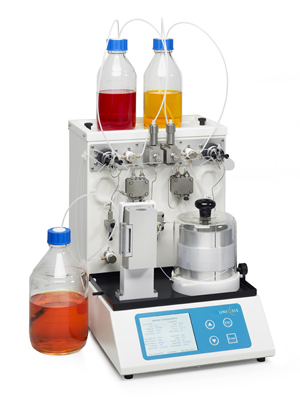 Once set up, FlowSyn Maxi automatically runs the experiment unattended, ensuring that critical parameters remain within defined limits. Increase reactor capacity and throughput by adding up to 2 HotCoils. Compatible with FlowSyn Multi-X for reaction optimisation and FlowSyn Auto-LF for library synthesis.